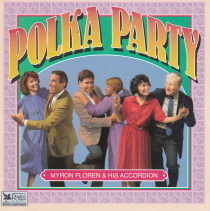 All Instrumental Accordion featuring accordion great Myron Floren from the Lawrence Welk Show! Myron Floren was the fine accordionist with the Lawrence Welk Show. Here is a set of all instrumental accordion feature songs with International Polka Music Hall of Fame® Myron Floren. Don’t pass this CD!